If you are someone involved in any distribution business obviously you need to be fast, agile and efficient. This UD version has all the qualities you need to constantly stay up and running. Its rugged durability makes it right for a variety of applications including food and beverage delivery, municipality, utility, petroleum and waste handling. The Quester delivers what transport companies around the globe are looking for: an affordable real heavy-duty truck that combines first-class fuel efficiency with reliable durability. 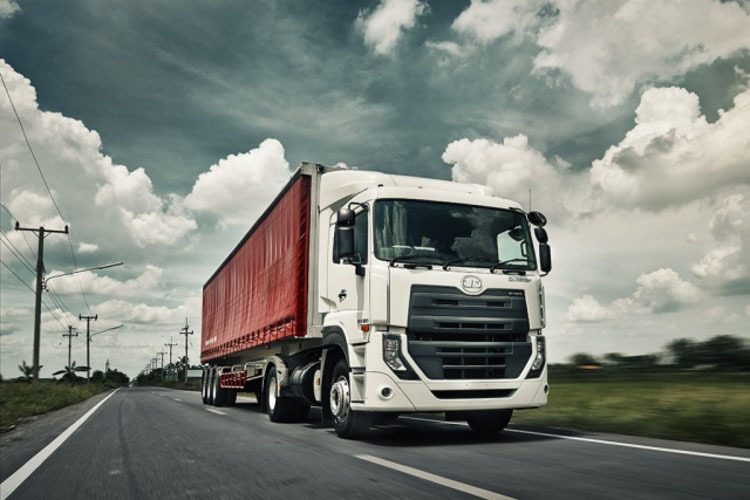 Now available at Duly’s in Harare, the Quester is UD Trucks’ most cost-efficient truck ever. Not only when you buy it, but also when you drive it. It cuts fuel costs and maximizes uptime so you get quick, dependable payback that will help you reach your business goals. “Our two engine alternatives are designed with proven fuel-efficiency and superior performance for medium-duty to heavy-duty applications. “We are a step ahead in providing lower operating costs and increased productivity making it easier for you to stay one step ahead of the competition,” said UD Trucks. The Quester drive-line is carefully balanced to optimise performance under varying conditions. It gives excellent fuel economy at cruising speed due to the possibility of matching the drive-line with the correct rear axle ratio. A locally sourced and popular transmission based on well-proven technology. The company further developed it to withstand tough conditions and meet our customers’ demands. After rigorous testing they obtained first-rate results for reliability and durability. For the 11 litre engine you have a choice of 9 or 12 speed. For the 8-liter engine you can have 6 or 9 speed. The Quester frame is robust and handles tough demands. The side rail section is made from strong and durable rolling form steel and is available in thicknesses of 7,0 or 8,0 mm. Rolling form is a torsional flexible frame with uniform stiffness, good for vertical stress and torsion stress when rolling and pitching happen together. This reduces stress from uneven road surfaces, loads with high center of gravity and unevenly distributed loads, making it suitable for many different conditions. The secret of Quester lies in its versatility. With Quester, UD Trucks offers a vehicle that allows customization for any transport requirement. The Quester is designed for ease of superstructure installation with comprehensive body-builder instructions and drawings. The parallel side members, designed body-builder mounts and a range of power take-offs add to the ease of installation. Quester offers ideal axle positioning, being available in 4×2R/T, 6×2R/T, 6×4R/T, 8×2R and 8×4R configurations for distribution and long haul, and 6×4R/T and 8×4R for construction and mining work.